Bharat M. Desai, MD is a board-certified orthopedic surgeon located in Denver. He specializes in orthopedic trauma and foot and ankle conditions. He graduated from Swarthmore College Pennsylvania and then earned his medical degree from Temple University in 1990. Dr. Desai later completed his residency in orthopedic surgery at the Geisinger Medical Center in Pennsylvania. Due to his special interest in orthopedic trauma, Dr. Desai completed a trauma fellowship program at the esteemed Harborview Medical Center in Seattle, Washington with a specialization in Orthopedic Trauma and Foot & Ankle Surgery. Dr. Desai became a part of the Panorama Orthopedics & Spine Center team in August of 1996. Through his year-long specialty fellowship trauma training at Harborview Medical Center, Dr. Desai was mentored by five Orthopedic Trauma surgeons that specialized in orthopedic fracture care and elective Foot and ankle cases. Dr. Desai’s trauma specialty is focused on Pelvis / Acetabular (hip joint) fractures, and lower extremity fractures. 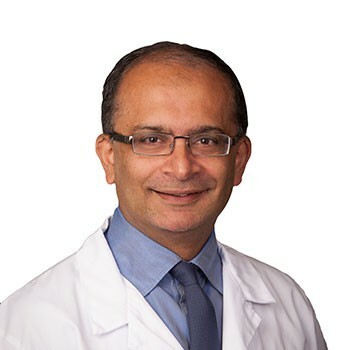 As a foot & ankle specialist, Dr Desai provides care for traumatic injuries to the foot or ankle, foot reconstruction/ fusions, bunion surgery, tendon and ligament injury/instability and total ankle replacements. Dr Desai is often an early adopter of the newest evidence-based medical procedures. Having cared for complex pelvic fractures, Dr. Desai developed an interest in sacroiliac disorders which cause pain in the low back. Historically, patients that experienced complex pelvic fractures can develop sacroiliac (SI) joint pain – often from arthritis or previous lumbar fusions. Today, there are new implant options for SI joint fusions that drastically improve both outcome and function for sacroiliac (SI) disorders. Dr. Desai is a specialist in this procedure, regardless of whether the SI pain is from a traumatic injury, arthritis or other degenerative conditions. 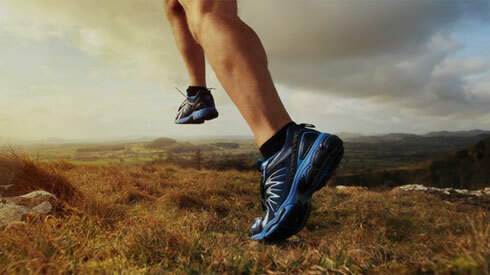 He is also a specialist in a new foot and ankle procedure to correct the root cause of bunions. This procedure is referred to as Lapiplasty and Dr Desai was one of the first surgeons in Colorado to offer this innovative approach to address and repair bunions. Dr. Desai was drawn to Panorama Orthopedic & Spine Center’s mission and values, which are centered on being an independent orthopedic practice which emphasizes mutual accountability and patient-centered care. He feels this allows him to provide the best care for his patients. He treats trauma patients at St Anthony’s Hospital, OrthoColorado Hospital, as well as, at various surgery centers. Dr. Desai has been the Chief Medical Officer (CMO) at OrthoColorado Hospital since its inception in 2010. Dr. Desai has many hobbies outside of his work. Growing up in Canada, Dr. Desai played ice hockey and skied which he continues to do today. Additionally, Dr. Desai has five horses, and three dogs which he enjoys with his wife and daughter. His other interests include photography, swimming, and fly fishing. Dr. Desai sees patients at Panorama’s office in Golden. Kim Madden has been a PA since 2003. She was born and raised in Denver, Colorado. Kim received her undergraduate degree in Psychology from the University of Colorado Boulder, and then obtained her Physician Assistant degree from Red Rocks Community College in 2003. She also has a Masters degree in Medical Science from St. Francis University in Pennsylvania. Kim has always worked in the area of orthopedics, spending six years in a Spine practice followed by two years in Sports Medicine at Panorama Orthopedics. Kim works with Dr. Bharat Desai in the area of trauma and foot and ankle surgery. She enjoys all aspects of Orthopedic medicine and finds it very rewarding to assist patients in getting back to their active lifestyles. Outside of work, Kim loves spending time with her two young children and her husband. She is an avid runner, horseback rider and loves to ski.